Between Lake Geneva and Mont Blanc, two regions have merged across the Franco-Swiss border to form a single region known as Portes du Soleil. The world's largest international ski area includes 12 charming ski resorts in France and Switzerland, among them Champéry. Easy access (115 km from Geneva Airport), a wide selection of good-quality accommodation and romantic ski restaurants make the area especially attractive. The Portes du Soleil ski area offers 650 skiable km, 206 ski lifts, 290 slopes in the 12 ski resorts. One "hands-free" ski pass is valid throughout the entire area. 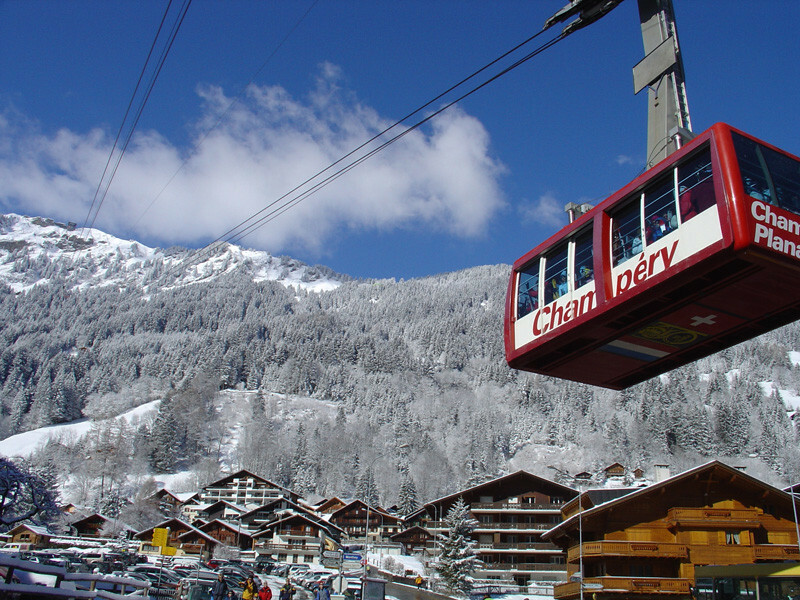 The Champéry-Planachaux cable car (125 persons) transports you to the slopes in less than 5 minutes.